Limited edition devices can come from anywhere, and while they’re frequently for video game consoles, McLaren is painting a limited edition VR headset. Whether you believe virtual reality is a gimmick that will fade or something that has serious uses, we can all pretty much agree that the hardware isn’t necessarily cheap to get into. There’s the purchase of a big computer that can handle the heavy rendering, as well as the headset and motion controllers that allow you to move in the digital world. It can add up quickly, and it’s no wonder that people jump into all-in-one kits like the PlayStation VR for the PlayStation 4 console, or the mobile variety of VR such as Samsung’s Gear VR headset or the Lenovo Daydream Mirage standalone VR headset. Oculus, one of the established virtual reality companies, even has a mobile option that aims to make it easy to jump into, because VR is just that much more difficult to buy into, and seems to be reserved for folks with cash to spare. And this week, there seems to be more proof of that, as HTC adds a limited edition option for virtual reality. Think of it like a limited edition console, but for your head and hands, because that’s what this is, teaming up with car-maker McLaren for a special edition of the HTC Vive Pro, a VR headset that is already one of the more expensive options out there. There’s a specific reason why: it’s coming out for folks who want a more realistic racing experience, arriving with Grand Prix gaming in the virtual world for folks who want that experience in their life. 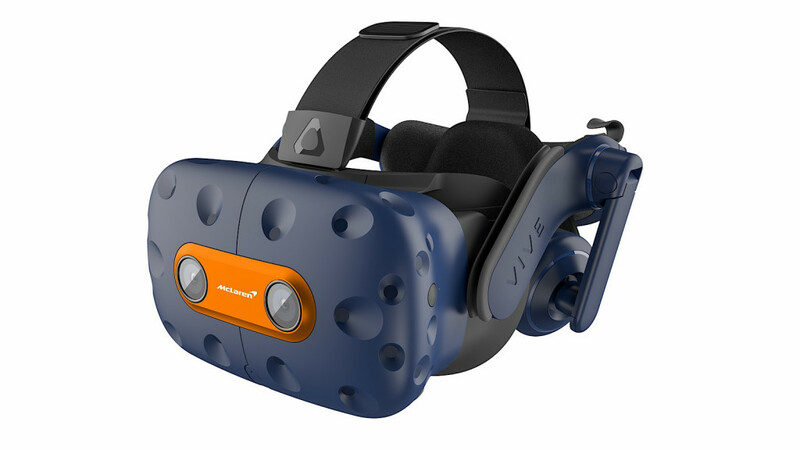 The special edition of the HTC Vive Pro still keeps you tethered to your computer, but is compatible with the optional wireless Vive module, and arrives with a special blue and orange paint job, as well as two special edition games, including the “McLaren Garage VR” experience where you can play in a virtual multiplayer pitstop challenge and change a virtual car tire competitively, as well as special edition of “RFactor 2” with a VR racing title you don’t need any other accessories to play. No steering wheel is needed here, just what you have available in the controllers. “It’s been brilliant to tap into HTC’s technology and work together closely to create this top of the range headset and VR experience, so fans can feel like they are in the heart of the action, at a racetrack with the McLaren Racing team,” said Zak Brown, CEO of McLaren Racing. “We think this limited edition Vive Pro headset is hugely exciting for both racing and VR fans alike,” he said. Like other limited edition consoles, you will need some cash to spare if you want the HTC McLaren Vive Pro, because while the standard $1279 Vive Pro doesn’t come with the base stations or controllers, adding them in still gives you a price of around $2K. 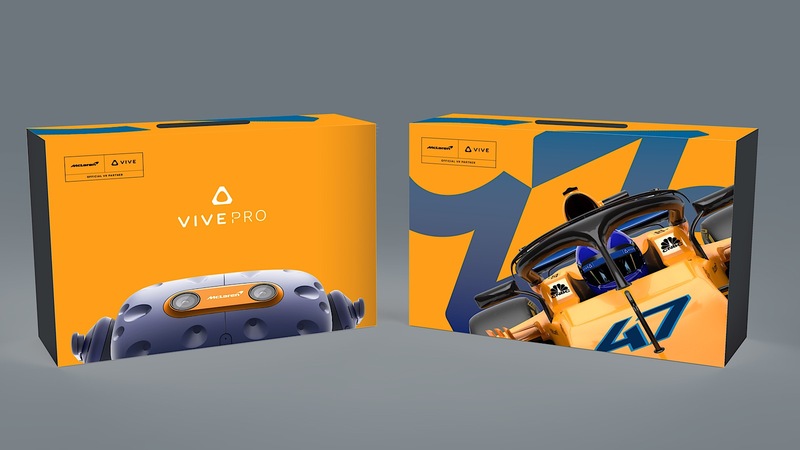 Meanwhile, HTC’s McLaren edition of the Vive Pro pushes that up to $2499 locally, though unlike the standard Vive Pro, it at least does come with everything you need outside of the big and meaty Windows PC. It’s also available at retail, though only a few places might have it, which could impact just how many people you have to play the multiplayer pitstop tire changing exercise with.